As we enter the new year, many people reflect on the past year. I must admit that 2015 was an awesome year for me (4 new PB’s, 4 new species, fished several special venues – so, no complaints from my side)! I also got the opportunity to test new tackle (not all of it is brand new, but it was new to me lol). I decided to share my thoughts on some of the tackle that impressed me. This combination is perfect! I am so much in love with this combo that it takes the nr 1 spot of all combos I own. I feel that this is the perfect all-rounder setup for specie hunters such as my self. The Veracity is extremely light, super sensitive to pick up subtle takes and it has enough back bone to land an 8 kg catfish. I remember when I fished a club comp during the year where this rod’s sensitivity really made the difference between struggling to catch a single makriel and smashing them one after the other. During this comp, I remember that I was surrounded by a few other boats where all the anglers were casting for makriel in the river channel. Everyone was working the same area, most anglers worked with spinners, yet, few fish came out. As I entered the area, it didn’t take long before I felt the subtle takes of the makriel and soon enough I was catching one after the other while no other fish came out around me. Seeing that most anglers were working the same area with the same lure, I strongly believe that the sensitivity of my Veracity made the difference. I remember giving my rod to Roelof Jonkers as he didn’t have any success with his rod, soon enough he started nailing them one after the other while everyone stared at us in surprise. The Penn Clash is the best spinning reel that I have used; smooth drag, solid design and relatively light weight. It is an absolute blast casting with this reel. Especially, when the reel is loaded up with Nanofil. Once you get over the fact that you have to test your knots with this line, all the other benefits of the line will put a smile on your face. 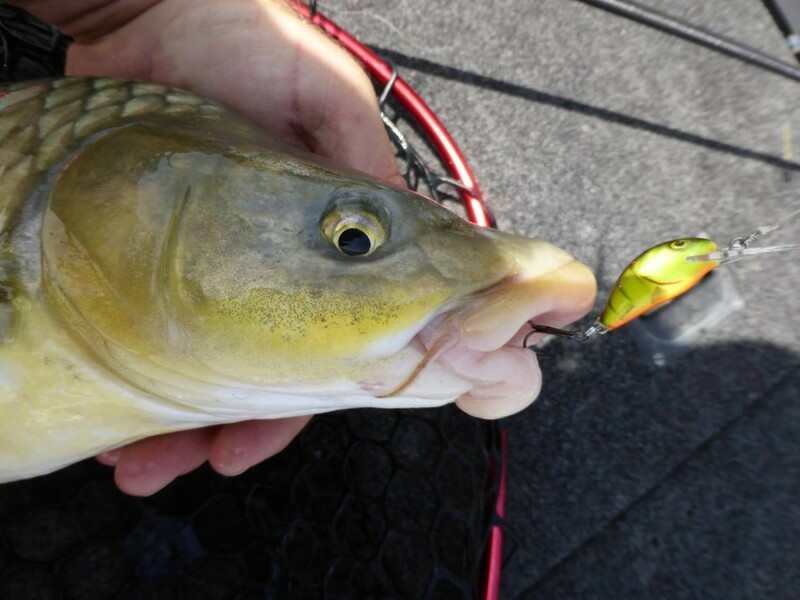 If it was for Nanofil I wouldn;t be able catch my PB smallmouth yellowfish this past year (my best catch of 2015!). During this trip at the Vaal it was crucial that we needed to get excellent casting distance in order to get our lures in the target area. This is a difficult task when casting small 3-4 cm lures without added weight! Luckily the Nanofil allowed us to cast the small lures up to 60 m! Thanks to the thin diameter of Nanofil we experienced one of the best sessions of my life where my dad and I landed numerous yellows with a few over 3 kg (biggest 3 was 2 of over 3.7 kg and my PB of 4.18 kg!). The line also faired well at Vanderkloof when Marc and i fished there and allowed him to land his 9,3 kg beast of a largie! 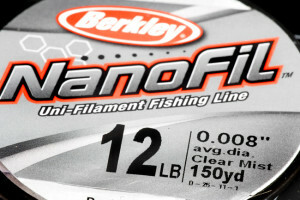 No line casts small lures with such ease as Nanofil and often that extra distance is the difference between catching the fish and blanking! At the beginning of the year I got a few of these lures to test out and must admit that I was very skeptic about them as I have always been a DAM Effzett fan. To my surprise they actually worked very well, so much so, that the Tiger colored 6 g spinner is now my new favorite spinner! In this past season I landed papermouth, makriel, blue kurper, redbreast kurper, sharptooth catfish, largemouth bass, smallmouth bass etc on it! On my last league at Doorndraai Dam I managed to catch both redbreast kurper, makriel and a few random blue kurper on it (of which the blues was a special bonus as few came out on the day!). Working this spinner with a low and slow technique will definitely put you on some unique fish! Evert received two of these lures to test, of which he gave on to me to try at the Vaal and Vanderkloof and one to Koos (what a good friend). 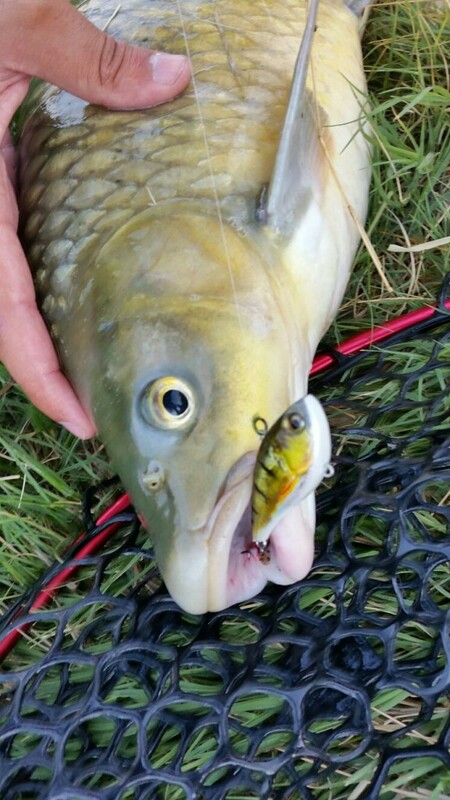 I nailed several smallmouth yellowfish on my one before it got snagged and broke off (sad face). Koos caught solid blue kurper, makriel and a few other fish on his before he also broke off the lure. All I know is that this lure has massive potential for specie hunters as it is a bit smaller than most lipless cranks and it seems like fish can’t leave it alone! I can’t wait to get my hands on some to see what they produce this year. This lure is best used with a vertical jigging action. I won’t be surprised if this lure becomes a popular sight in most Artlure Angler’s tackle boxes – might be just as good as Hornets! This combo is a great option for the budget-focused angler looking for a good all-rounder setup. I tested this rod thoroughly through out this past year and it didn’t disappoint! I like the combo so much that I always pack it in with my Veracity as my two spinning setups for every comp. The Tactical Spin is one super strong rod, this was proven by the fact that it lifted a 9.2 kg catfish after an insane fight at Vanderkloof for me – taking in to consideration that this rod is a medium action, I was thoroughly impressed! The Ceymar is a a great reel at a competitive price and the drag is very reliable! 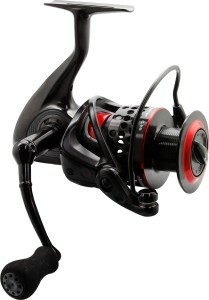 Plus the reel also looks pretty damn cool! I caught several carp and yellowfish on this combo throughout the year and it never let me down. Lastly, I was very satisfied by the strength of Fireline Crystal when it landed that 9.2 kg cat, yet its diameter also allows you to get good casting distance! 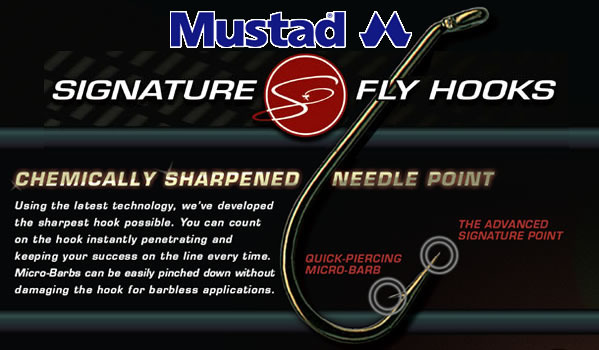 I received a packet of these hooks before I left for the Artlure Nationals at Misverstand Dam (Western Cape) to test. I caught all my vlei kurper and blue kurper (as well as a few random carp) on these hooks during this tournament. They proved to be extremely sharp and just the right size for these fish. I missed very few fish; most were hooked solidly! Thinking of making this my go to hook for canaries, vlei and pan size blues. I didn’t struggle to catch any of these bream during the whole tournament and I believe these hooks played a part in helping me catch these fish relatively easily. It also helped me to catch size vleis which also made a difference and helped me end 4th during the Trials. I landed loads of big catfish during the past year, of which most was on my calling rod with this reel. 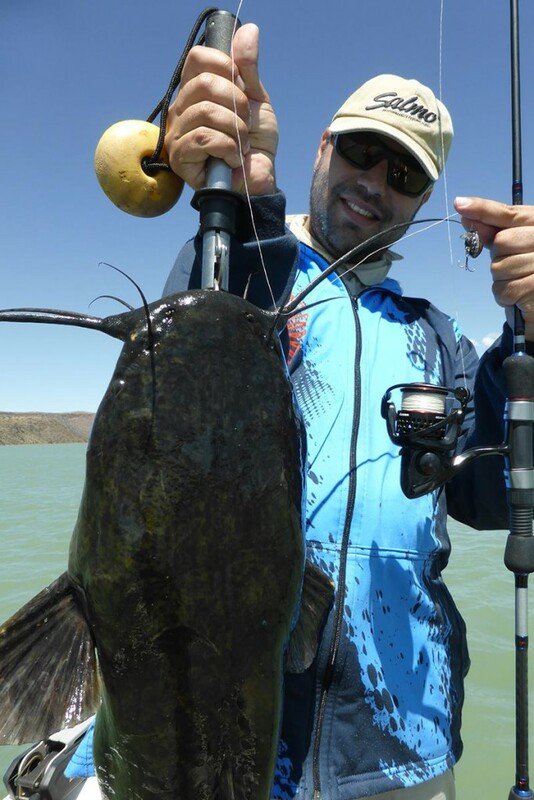 Catching cats at Barberspan and Vandekrloof via wading and calling is tough on most reels as the reels are often dropped in the water when unhooking small catfish, placed in the mud when unhooking big catfish on the shore and the drag gets a monster pull every time you hook a big catfish. As my reel often takes a dip in the water up to 50 times a day and we fish a few days on end; I would say that this is one tough reel! 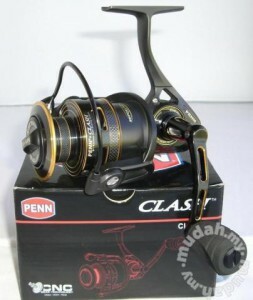 I am full of confidence that I will catch loads of catfish for many years to come with this reliable reel! 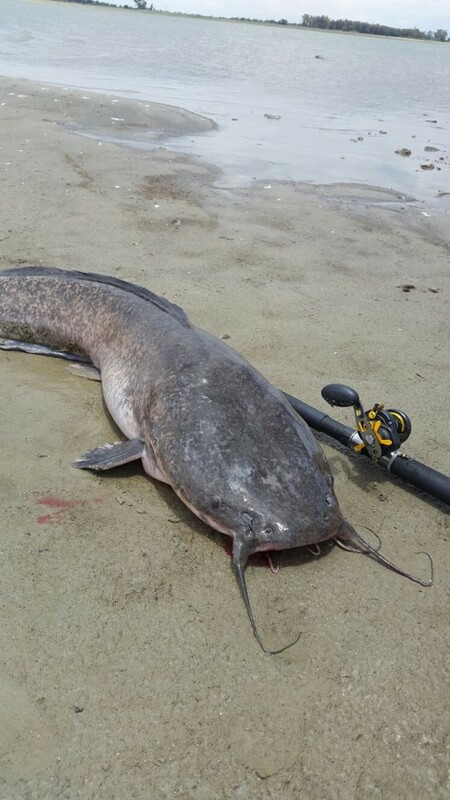 This tool makes a huge difference when going on catfish-calling trips as it allows you to release catfish much easier than standard pliers – especially when the cat took your lure deep! As I wade down the shore, this tool always goes with me and makes my life so much easier. Through out the year the 2 and 3 cm Hornets produced for me again for all kinds of species – I’d say they are must-haves for any specie hunter! 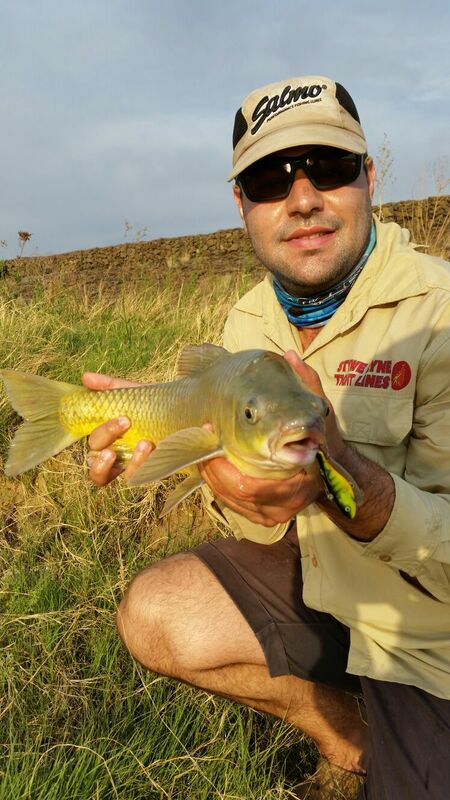 Whether targeting redbreast kurper, any yellowfish species or makriel, these lures get the hook-up! Marc and I nailed the smallmouth yellows at VDK on the 2 and 3 cm lures and even caught a few small largies on them. Every time we came across smallies we got a few using these small Hornets – probably the best lures to use for them at this venue. The 5 cm produced most of the 5 kg + largies in our group over the few days which include my two biggest largies for the trip. It is just the right size for the largies and get down to between 4 to 5 m which is a good depth for big largies. The 5 cm Hornet also produced a bass for my dad during our last league when they refused all the other lures we presented to them. 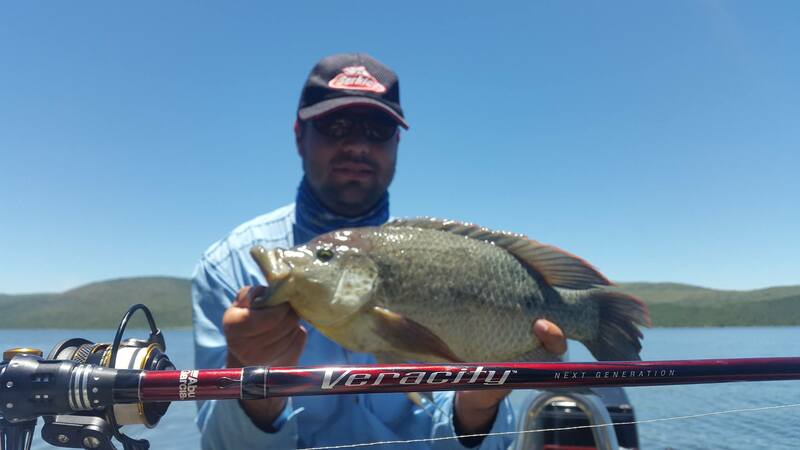 This lure delivered most of the Vaal smallies we caught as loads of makriel throughout the year. It has just the right action, profile and weight we allows one to cast it at a good distance and it rarely lets us down. 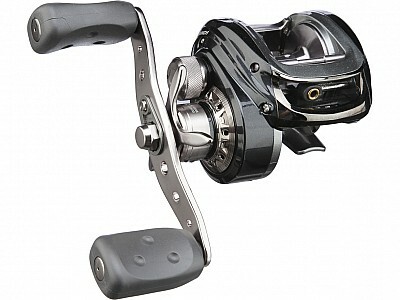 This is a fantastic reel for cranking as well as casting for catfish. The big handles allow you to apply good pressure on your catch when pulling them away from structure – whether it be pulling a 4 kg bass out of a tree at Letsi or pulling a 19 kg catfish away from reed beds. Smooth casting all the way, solid drag and it can take enough line for long distance casting with deep running cranks. Puik post weereens. Ek hou van al die gear wat jy noem. Dit help vir mens se eie tackle keuses. Sal maar n Veracity moet kry. Sien by Klub een vd dae! 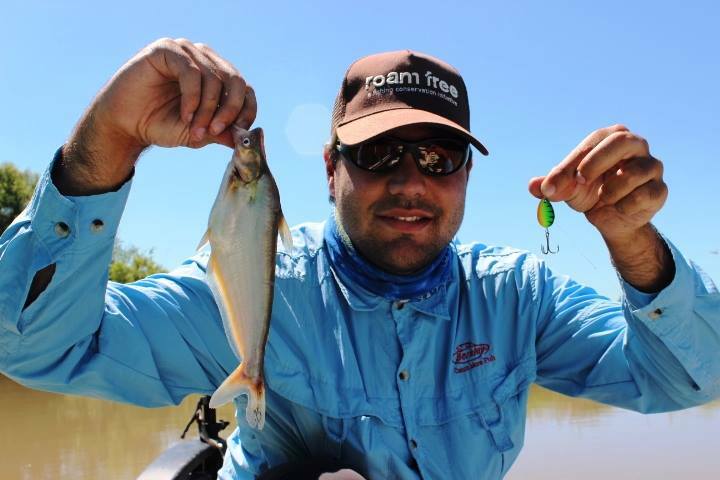 Ekt onlangs ‘n 30 en 40 Ceymar katrol aangeskaf vir die bass en babers, vir die prys is dit ongelooflikke lekker katrolle met betroubare drag. Die ligte gewig is ‘n defnitiewe bonus aangesien my verloofde heeldag met hulle kan werp sonder dat sy moeg raak. Ekt ook die Orra Winch (na ek jou artikels gelees het) gekry om bass en baber te vang en ek moet se die katrol is ongelooflik, dis my eerste baitcaster, werp mooi, min overwinds as jy hom reg gestel het en draai goumgou ‘n groot baber om! Dankie vir die puik artikels. Vir “newbies” in die artlure game soos ek is dit ongelooflik informatief! Keep up the good work!